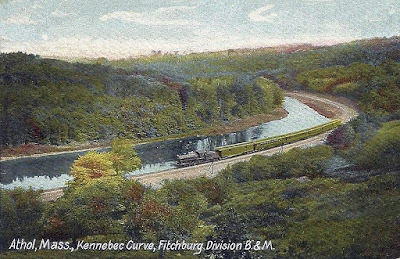 This postcard shows a curve of the Millers River with the tracks of the Fitchburg Division of the Boston & Maine Railroad following along the bank. 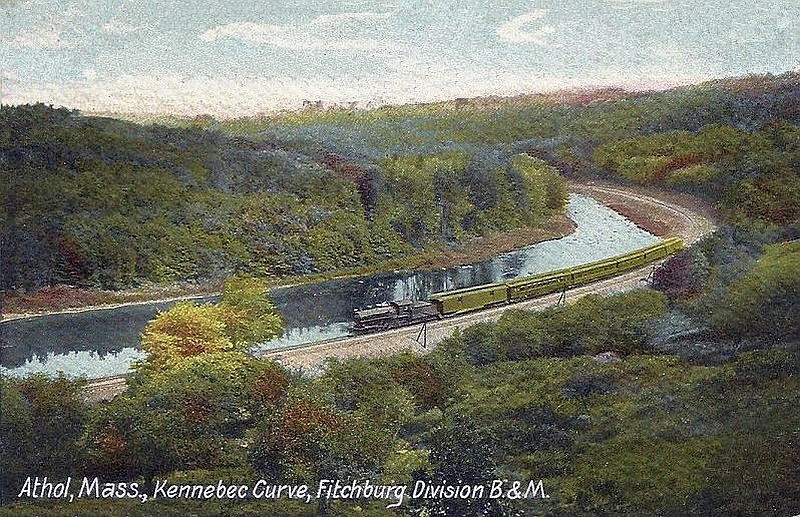 The river is incorrectly labeled as "Kennebec" on the card, as that river flows only in Maine. It's not clear who owns this line now - MBTA or CSX?